Fall just so happens to be my favorite season for fashion and beauty so I had to let all of you know what’s on my fall wish list! I'm also going to start posting three days a week starting this week! My posting days will be Monday, Wednesday and Saturday and I have tons of new exciting things planned for you guys so get ready and be sure to visit here every Monday, Wednesday & Saturday at 12PM EST!!!! So here we go first, fashion! This bag has a similar look to the Chanel Quilted bag and it has a jean galaxy look to it & I'm obsessed! Mirina Collections has been popping up everywhere lately and this just so happens to be my favorite piece from the entire line. All I think when I see this is how amazing it would look with the most simple holiday outfit! I found out about this brand from Shay Mitchell's Snapchat I believe! She opened a box on there and I was hooked ever since! Almost everyday I've been on the site looking at new phone cases! Another brand I found I found on social media! I saw them on Instagram, instantly followed and my favorite color is matte black and the case is just beautiful! Just wish I had money to buy a $40 phone case! Lately I’ve been SO OBSESSED with vests for fall and I don’t have one so I think this would be the perfect addiction to my fall wardrobe! All I can say about the NYX and Miliani lippies on my wish list is HAVE YOU SEEN THE SWATCHES? They are so beautiful and these products need to be in my collection NOW! I’ve been doing my nails a lot lately and I feel like this is a must have for anyone who paints their nails so again this needs to be added to my collection ASAP! I am in desperate need of a drugstore setting spray! I heard this one was a good one and it’s cheap! Do you know of any other good drugstore setting sprays? Let me know if you do! I heard about this from Tati on Youtube and she said it was a must have and I trust her opinion so its now a must have for me! This one has been on my wish list for a while now and I’ve yet to actually pick it up so maybe now will be the time for me to get it! 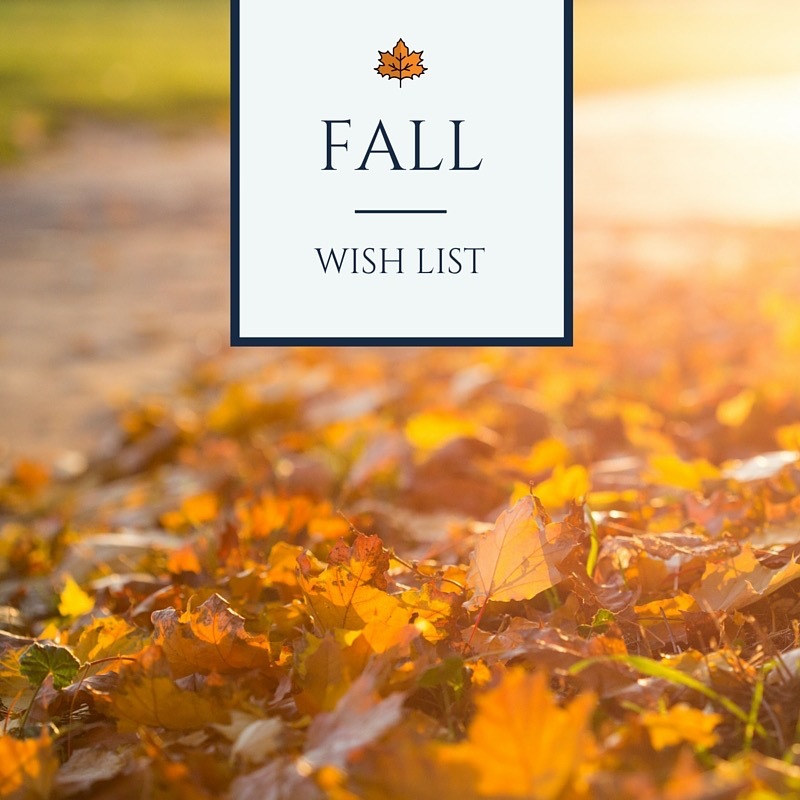 What is your number one item on your fall wish list? Let me know down below! Don't forget to Keep Up With Coco on social media if your not already!